290 pages | 7 B/W Illus. As demand for natural resources increases due to the rise in world population and living standards, conflicts over their access and control are becoming more prevalent. 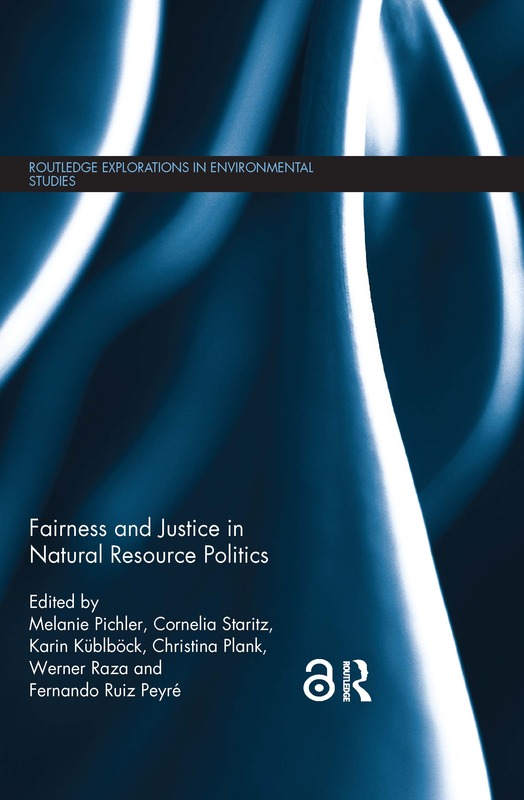 This book critically assesses different approaches to and conceptualizations of resource fairness and justice and applies them to the analysis of resource conflicts. Approaches addressed include cosmopolitan liberalism, political economy and political ecology. These are applied at various scales (local, national, international) and to initiatives and instruments in public and private resource governance, such as corporate social responsibility instruments, certification schemes, international law and commodity markets. In doing so, the contributions contrast existing approaches to fairness and justice and extend them by taking into account the interplay between political scales, regions, resources, and power structures in "glocalized" resource politics. Various case studies are included concerning agriculture, agrofuels, land grabbing, water resources, mining and biodiversity. The volume adds to the academic and policy debate by bringing together a variety of disciplines and perspectives in order to advance both a research and policy agenda that puts notions of resource fairness and justice center-stage. 5. Integrated Water Resources Management in Brazil: Participatory Approaches as a Way to Resource Justice? 7. Corporate Social Responsibility: A Globally Applicable Tool to Manage Community-company Relations in the Extractive Sector? Melanie Pichler is a Post-doctoral Researcher and Lecturer at the Institute of Social Ecology, Alpen-Adria-Universität Klagenfurt, Austria and an Associate of the International Political Ecology Research Group at the University of Vienna. Cornelia Staritz is Senior Researcher at the Austrian Foundation for Development Research (ÖFSE), Austria and Research Associate at Policy Research in International Services and Manufacturing (PRISM), University of Cape Town, South Africa. Karin Küblböck is Senior Researcher at the Austrian Foundation for Development Research (ÖFSE), Austria and Lecturer in Development Economics at the University of Vienna. Christina Plank is a PhD candidate and Lecturer at the Department of Political Science, University of Vienna, Austria. Werner Raza is Director of the Austrian Foundation for Development Research (ÖFSE), Austria. Fernando Ruiz Peyré is Assistant Professor at the Institute of Geography, University of Innsbruck, Austria.